On Tuesday, September 13th, starting at 9:00 PM, the wccls.org website will be down for a few hours. We will be working hard to bring you a new homepage for wccls.org. We are excited about the new design, which is based on public surveys and user testing. User testing showed the need for an easier way to get answers to commonly asked questions. The “How Do I” box in the center of the page is the result. 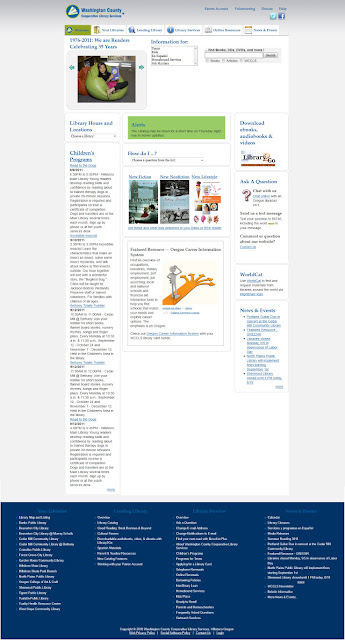 The new page will feature the ability to search the entire wccls.org site, as well as the catalog and online resources. We also have included information that particular audiences will find useful. Information for Spanish speakers, teens, kids, homebound patrons and job hunters will easily accessible from the new homepage. Once the new site is up, we welcome your feedback! Send us an email to webmaster@wccls.org, or let us know via Facebook or Twitter.